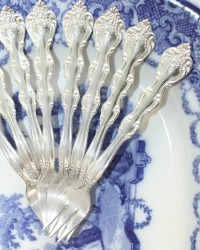 Lovely elegant Silver Plated Oyster Forks, with a decorative floral and scroll design. 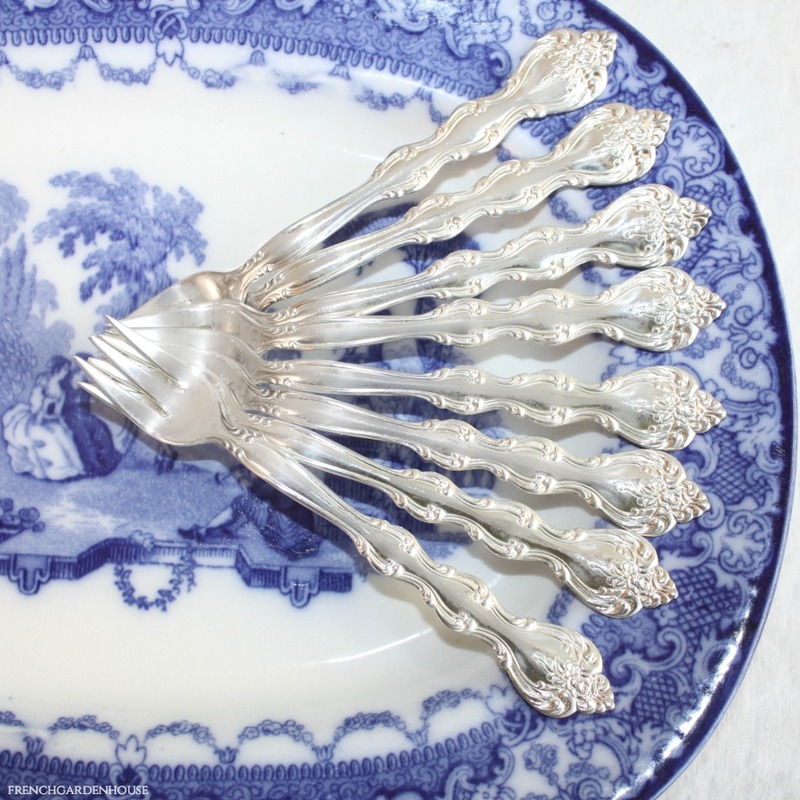 Made for eating luxurious oysters, made by I. S. Manufacturing Co. 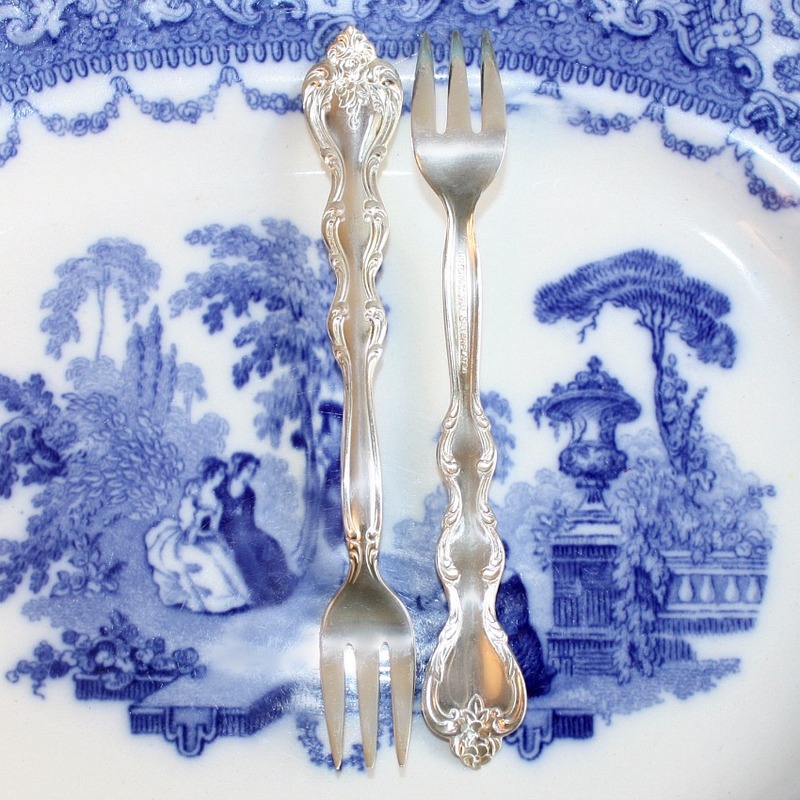 The design is pure and classic, these forks will be easy to mix in with any of your sterling or silver plated flatware for a beautiful table setting to delight your guests. 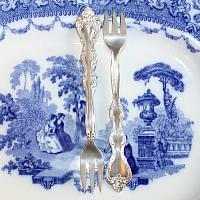 In good vintage estate condition with wear commensurate with age. Not perfect, but perfectly imperfect for your next oyster feast! Sold in a set of eight.